We have developed over many years a loyal collective of customers who regularly use us as their Gas bottle replacement suppliers. 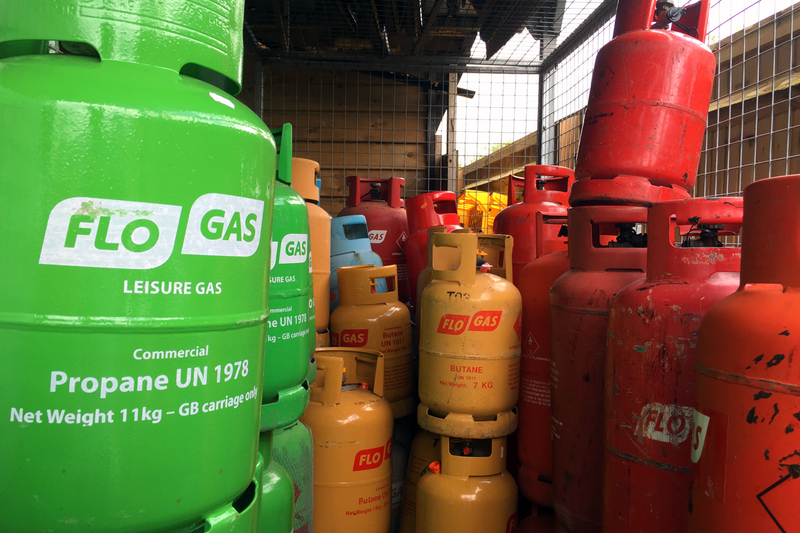 FloGas are one of the biggest gas bottle distributors in the UK and have an arrangement of products including Clip-­on regulator Propane and Butane bottles for leisure use (BBQ’s and patio heaters), Propane screw­-on bottles for heating, and vehicles etc. as well as CampingGaz bottles too. Upon first purchase, there will be a one-off bottle charge of £35, plus the price of the gas. In future, all you need to do is bring in your empty bottle and we can swap it for a bottle of your choice and all you pay is the price of the gas. Bottles exchanged must be Flogas or in their list of acceptable manufacturers (Calor gas bottles not accepted). Contact us on 01494 872219 or visit us in store to find out more. Here at Yalden DIY & Garden we have a broad spectrum of home, DIY/Trade, and Garden tools, products and materials in our shop. We offering anything from a simple tap washer to a high­ quality power tool, from that weird bulb you’ve never seen before, to everything you need to decorate your home, spruce up your garden or get those everyday tasks completed with ease and efficiency.